Freedom comes in all shapes and forms — No doubt about it. To start, our Jukebox put The Soup Dragons in our head. If you dig Spotify, you can find the song here. From “Freedom” we leapt into the concept of great escapes starting with this one from our favorite Indiana Jones movie (“The Last Crusade”). Check it out! Which reminded us of something we saw in Adweek (Kia Welcomes a New Hamster and It’s the Littlest, Wildest, Cutest One) about a new Kia ad campaign which includes an escape scene. Which took us to another story at Cars.com about the Kia Turbo. 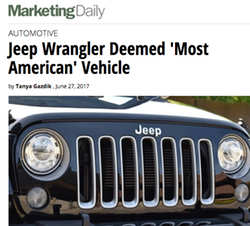 Which then led to this piece on how the Jeep Wrangler was deemed the “Most American” vehicle by @carsdotcom. Per The Cars.com 2017 American-Made Index (AMI), the Jeep Wrangler posted a 74 percent utilization of domestic-parts. Note: The 2017 American-Made Index ranks cars based on five factors: assembly location, domestic-parts content, U.S. factory employment adjusted by sales to reflect how many employees each sale supports, engine origin and transmission origin. (Additionally, curb weight is used in the event of a tie, favoring the heavier vehicle.) The changes in methodology mean current results can’t be compared to those of past indexes. 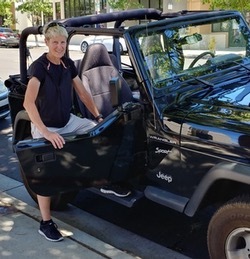 We just know the Jeep is plenty fun to ride around in, so we added the Father’s Day / Birthday picture of Annie and her Jeep. Then we threw it in reverse and slip / glided our way back to escapes, but this time in highly touted new film called “Baby Driver” which supposedly has a wicked awesome soundtrack that propels the movie. Which has us propelling ourselves via Fandango to catch it on the big screen — this very Fourth of July. What’s essential is indeed invisible to the eye. That’s a wrap! 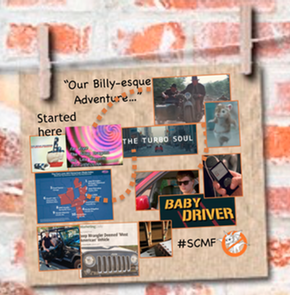 We hope you enjoyed learning about our “Billy-esque” adventure AND that perhaps, it has inspired you to have your own. We have a unique way of looking at things here at Jedemi. 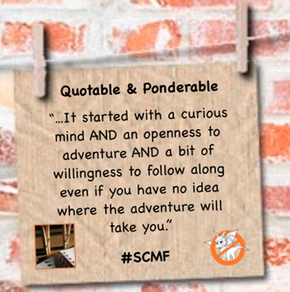 Rather than repeating the "what" as in "what happened," we opt to provide "Ponderables" that you can mull over addressing the "why" and "the story behind the story." 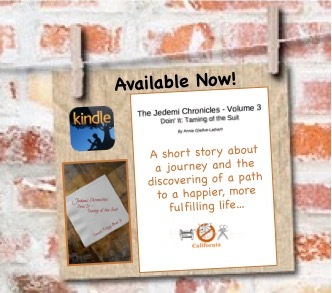 Whether it be a book, a script, short story, article, the content found here can provide clues and context to help inform and guide your individual journey.